Roughly one in ten Americans over the age of 60 face regular forms of abuse. 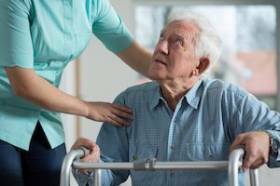 Elder abuse, according to the National Council on Aging (NCOA), can come in forms of overt physical, verbal, and sexual abuse, but also in the form of neglect. Elderly Americans are frequently victims of abuse due to their unique living situations. At senior living facilities, victims often suffer from social isolation, and they can also be more susceptible to abuse due to dementia, Alzheimer’s, and other health issues. This May, a North Chicago woman suffered a traumatic and violent injury when she was bitten by a neighbor’s dog. The attack happened rapidly according to the victim, who was quickly rushed to the emergency room in the aftermath of the incident. 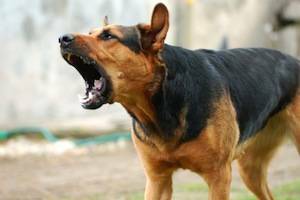 The injuries were severe, as the dog jumped up to bite the woman’s face. The victim suffered serious injuries to her face and mouth requiring stitches and emergency medical attention, and she lost a substantial amount of her lip in the incident. The victim is now stable and healthy, but the ramifications of her injury could be lifelong. She now faces medical bills, loss of work hours, and emotional trauma, which is all too common in the aftermath of dog bite injuries. According to Centers for Disease Control and Prevention (CDC), more than 300,000 Americans over the age of 65 are hospitalized due to a severe hip injury each year. As one reaches an advanced age, the severity of a hip injury increases exponentially. Even a standard hip fracture can bring on serious and even life-threatening complications to those over the age of 65. In almost all cases, hip fractures require surgery and months of laborious physical therapy. 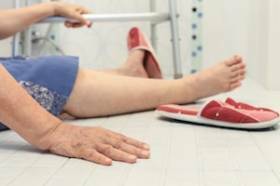 For senior citizens, hip fractures can occur anywhere, but they are almost always brought on by a fall. The CDC estimates that more than 95% of all hip fracture injuries to those above the age of 65 occur due to falling. 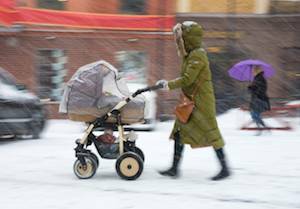 In many cases, these falls can occur because of negligence, such as icy or wet sidewalks outside an establishment or neglect by a nursing home staff member. Plainfield, IL is home to a convergence of traffic thoroughfares. Highway 59 runs through the city to the north and south, Highway 126 to the west and northeast, and Highway 30 to the northwest and southwest. Each of these three local highways crosses paths with Interstate 55, the mighty freeway that carries commerce and commuters between the Chicago area and St. Louis. If you venture on or near I-55 during morning or evening rush hour, you will doubtlessly see vehicles of every type, including throngs of semi-trucks. 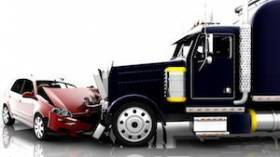 With so much activity, and so much of it ridden with intensity by the time deadlines and the expectations of drivers, accidents involving tractor-trailer trucks are an unfortunate reality in and around the Plainfield area. Fortunately, Illinois state law allows for truck accident victims to seek financial recourse for the harms and losses suffered in a collision. “Look both ways before you cross the street.” This is one of the first lessons one is taught in learning how to navigate the social world. Years later, when behind the wheel of an automobile, the paramount instruction is “keep both eyes on the road.” For both pedestrians and drivers, there is the ever-present need to comply with all traffic signs and rules of the road. Strangely, however, social norms enter the picture and erode the lessons and systems which have been put in place to maximize personal safety for all persons in the stream of traffic and everyday life. It becomes customary to drive a few miles over the speed limit, and fellow drivers often become aggressive and express frustration with those who simply wish to follow the precise speed limit. Crosswalks with clear “walk” and “stop” signals are often disregarded in favor of a quick jaywalk across the street. A school zone crosswalk or decreased speed limit is quietly ignored when no one appears to be within sight. When drivers and pedestrians commit these types of subtle breaches of laws, rules, and regulations, personal injuries become an all too real possibility. 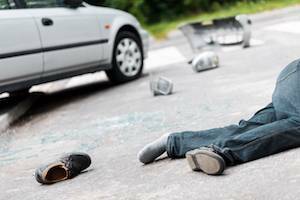 For people injured in pedestrian accidents, fortunately, the law is there to hold at-fault drivers responsible for disregarding the duty of safe driving and thereby causing harm to others. Everyone needs to get around, whether they travel by car, by train, by bus, or by foot. Unfortunately, the size and speed of motor vehicles make the roads a dangerous place for everyone who uses them. While many people know the dangers of texting and driving, they may not realize that texting or using a cell phone while walking can also be dangerous. 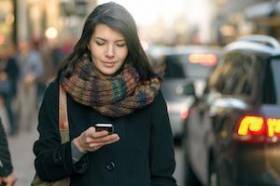 Just as distracted driving greatly increases the likelihood of a car accident, distracted walking makes a pedestrian accident more likely. The cell phone has grown to become one of society’s biggest necessities, serving as one of the primary ways that people communicate with each other. The ease of sending text messages, looking up information, or performing any number of other activities has led people to use their phones in a wide variety of situations. However, paying attention to a cell phone often takes a person’s focus away from their surroundings. While this is especially dangerous when a person is in control of a vehicle, it can also result in a person being seriously injured or killed when they are on foot, since they may not be able to react in time if they are in danger. In the past few decades, the use of the phones has greatly evolved in society. While phones used to be large devices connected to the wall with a cord, in which we communicated with others through a mouthpiece, they are now small, powerful computers which we carry in our pockets or purses, allowing us to call others no matter where we are. For many, the ability to send a quick text message through our fingertips is an even faster and more convenient method of communication. However, the constant presence of cell phones and the ease of sending a quick message has led many to attempt to do so while they drive, and this has proven to be a very dangerous activity that can greatly increase the likelihood of a car accident occurring. What Is at Stake When Texting and Driving? 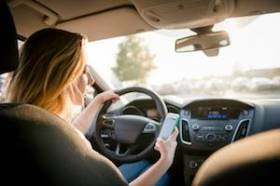 Many people believe that texting or using their phone while driving is not an issue, since they are so good at multitasking that they can do so without causing their driving ability to suffer. However, this type of distracted driving actually puts both themselves and others in extreme danger. For many Americans, it is important to have a car to drive places. Being able to say that you can drive can be exciting enough, until you get feel drowsy behind the wheel. Car accidents as a result of sleeping behind the wheel are all too common, and these accidents have caused serious injury and even death. It is important to take action when you feel drowsy behind the wheel, so you can prevent a car accident more easily. 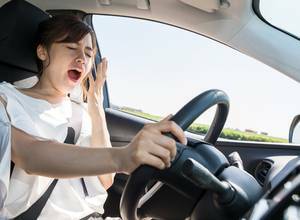 Drivers who do not get enough sleep or have other outlying medical problems are most likely to drive while drowsy and potentially cause a car accident. Other drivers more likely to drive while drowsy include commercial drivers who have to cover a huge part of the United States in their driving route, drivers who work night shifts or long shifts, drivers with sleep apnea, and drivers who use medications to help them sleep better. The first months of the year are typically when the Chicago area and Will County experience the most frigid winter weather. Depending on the day, temperatures can range between 40 degrees and well below zero. 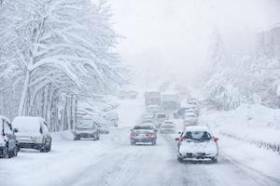 With these drastic changes in temperature, it is very important for drivers to use extra caution on the road, since winter conditions can often lead to potentially fatal car accidents. One common culprit in winter car accidents is black ice, which can be very difficult to notice when driving in low temperatures. 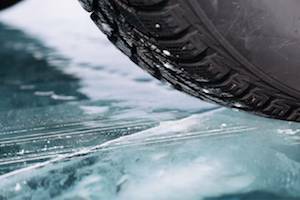 Black ice forms when the temperature at a road’s surface is below 32 degrees Fahrenheit. This causes water on the road to freeze, creating slippery conditions that can be difficult to recognize. 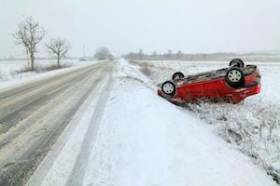 When black ice is present, pavement will appear to be slightly darker and duller than other road surfaces. 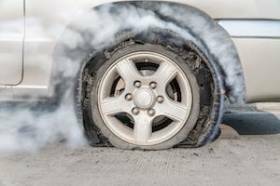 If, when you are driving, the road looks wet, and the tires of the cars ahead of you do not spray water, then there is cause for concern. Bridges, viaducts, and overpasses are greatly susceptible to black ice, as they are exposed on both the top and bottom, causing them to cool faster and allowing ice to form. Black ice also often forms in areas that are heavily shaded. Roads that are traveled more often, such as major highways and interstates, are less likely to form black ice than rural roads and residential areas. When you are involved in a car accident, you may receive serious injuries which require extensive medical treatment and rehabilitation. However, even if you were in a car accident and did not immediately experience any pain or other medical issues, you should be aware of possible side effects that may not make themselves known until months after the accident. Headaches - This type of pain can often develop several days after a car accident, and it can indicate a more serious problem, such as a blood clot in the brain. 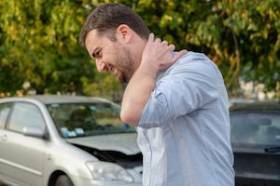 Whiplash - Rear-end collisions which occur when cars are traveling at less than 14 miles per hour can result in shoulder or neck pain or stiffness. These types of injuries often require extensive physical therapy, and they can cause serious complications if not addressed immediately. Back pain - This type of pain can develop at any time after a car accident and could indicate muscle, nerve, and ligament injury, or even damage to the vertebrae. Abdominal pain or swelling - These symptoms, along with deep purple bruises, dizziness, nausea, and fainting, could indicate internal bleeding, which is a medical emergency that must be quickly treated. Numbness - Loss of feeling in your arms or hands could indicate damage to the neck or spinal column. Changes in personality, thought processes, or physical functions - These symptoms can include impaired memory, movement, problems with vision or hearing, or overall personality changes, and they may indicate that a brain injury has occurred. Post Traumatic Stress Disorder (PTSD) - Flashbacks and disturbing memories of the car accident can affect people well after an accident has occurred, and children are especially susceptible to these symptoms. 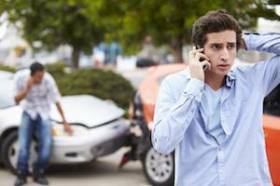 If you or a loved one has been involved in a car accident, you should seek medical help immediately, even if you were not hurt at the time of the accident. If you delay medical assistance, then you may develop side effects that can negatively impact your overall quality of life. 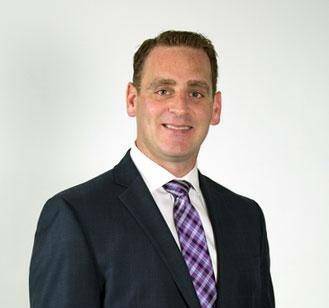 At Flaherty Law, we understand the medical issues which can result from a car accident, and we are ready to provide effective legal representation to help you receive the compensation you deserve for your injuries. For a free initial consultation, please call a Will County personal injury attorney at 815-577-7500. Every year, there are always a troubling number of deaths and injuries caused by someone crossing railroad tracks and being struck by a train. Unfortunately, too many people and families must deal with the death of a loved one from a train accident. Furthermore, when someone survives a train accident, they may have to deal with permanent, life-altering injuries sustained from the collision. Understanding the statistics of deaths and serious injuries caused by train accidents can help people avoid these accidents in the future. In 2015, 265 people were killed by a train in the United States. A train accident occurs every three hours in the United States, on average. 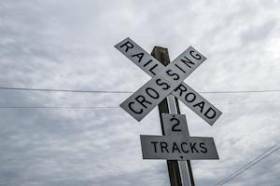 50 percent of all train accidents occur at crossings with active warning devices, including bells, lights, and railroad gates. In 2016, there were 120 train collisions in Illinois, with 22 of them resulting in death and 43 injuries. In Illinois, the six counties in the Chicago area account for about 73 percent of the State of Illinois’ risk of a train/vehicle accident. A train traveling at 55 miles per hour will take approximately 18 football fields to come to a stop. As of July, there have been as many as 16 people who were killed in a train accident in 2017 in which the death was ruled to be a suicide, according to Metra, one of the largest commuter rail systems in Chicago and the surrounding suburbs and counties. Between 2013 and 2016, there have been, on average, 18 suicides reported each year from train accidents. As the awareness of suicide on train tracks has grown, several programs have been put in place to emphasize prevention efforts, with the goal of decreasing the number of suicides resulting from train accidents to zero as quickly as possible. Over 150 Metra employees have been trained in the company’s mental health and suicide awareness program, helping them learn to identify at-risk people at Metra stations or on train tracks and refer them to the appropriate authorities for further treatment. There are nearly 20 million Americans who have been diagnosed with diabetes, with a large percentage of them holding a license to operate a car. Depending on the severity of the person’s diabetes, they may be able to drive a car to work, classes, and social gatherings. In many communities, there are no other means of transportation, and the use of a car is the only option people have. 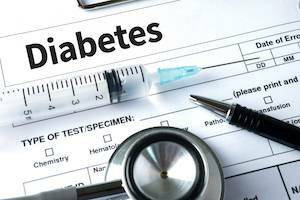 Even though many people afflicted with diabetes can drive, there has been much debate on whether diabetes may be a big factor in determining if some people may or may not be fit for a driver’s license and whether diabetes is a factor in car accidents. What is Diabetes and How Serious is it? Diabetes is a medical condition that affects the pancreas. In people without diabetes, the pancreas releases a healthy amount of insulin to help store and use sugar and fat from food. In people with diabetes, however, the pancreas produces little or no insulin, or the body may not respond appropriately to insulin. In severe cases, people with diabetes may be up and walking one minute, and passed out on the ground the minute following. Although there are many ways to manage diabetes, there is no actual cure for the disease. On a day-to-day basis, people with diabetes can manage their blood sugar by avoiding sugary foods, taking medications to offset a high blood sugar level, and exercising. Since there are many different types of diabetes and levels of severity of the condition, there are several ways to determine the person’s ability to safely drive a car. To apply for a driver’s license, a person with diabetes must file a medical report form that is to be completed by a medical doctor. Every time they renew their driver’s license, a medical report form must be resubmitted to the Medical Review Unit. If you have been injured in a car accident that was not your fault, the insurance policy of the at-fault driver is a key factor in your case and in your recovery. The type of policy the other driver has (or does not have) could limit the amount of money you are able to receive. Typically, if the other driver’s insurance policy is insufficient for your injuries, or if the other driver does not have an insurance policy in place at the time of the accident, your own car insurance policy will provide coverage through uninsured or underinsured insurance provisions. These provisions come with requirements for the injured driver and are technical in nature to invoke. An experienced lawyer can help you navigate these requirements and receive the coverage you need. 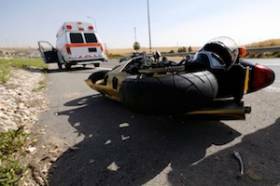 Accidents involving motorcycles almost always involve bodily injury, as bikers are not as protected as motorists riding in cars. In fact, motorcyclists in Illinois are not legally required to wear helmets, which can protect against injury. Despite being at a greater risk for injury, motorcyclists still have rights on the road. 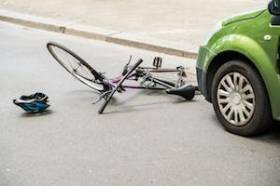 If they are in an accident that is caused by another driver, their injuries should be treated at the cost of the at-fault party and their pain and suffering should also be compensated.